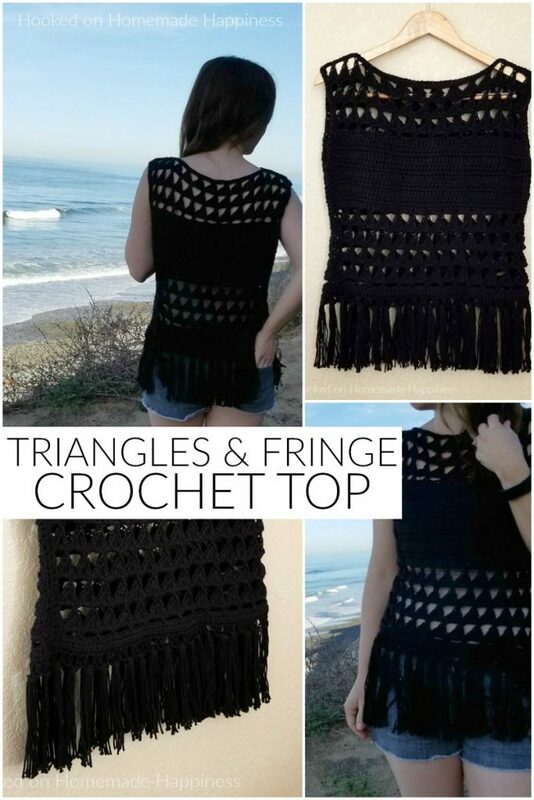 This Triangles & Fringe Crochet Top Pattern is made with cotton yarn, and with the fun peek-a-boo sections it makes this perfect for summer! I used a stitch that creates a fun triangle pattern. What I like best (besides that it’s cute) is that it’s a tall stitch and works up SO FAST! Seriously, you’ll have this summer top finished up in no time. 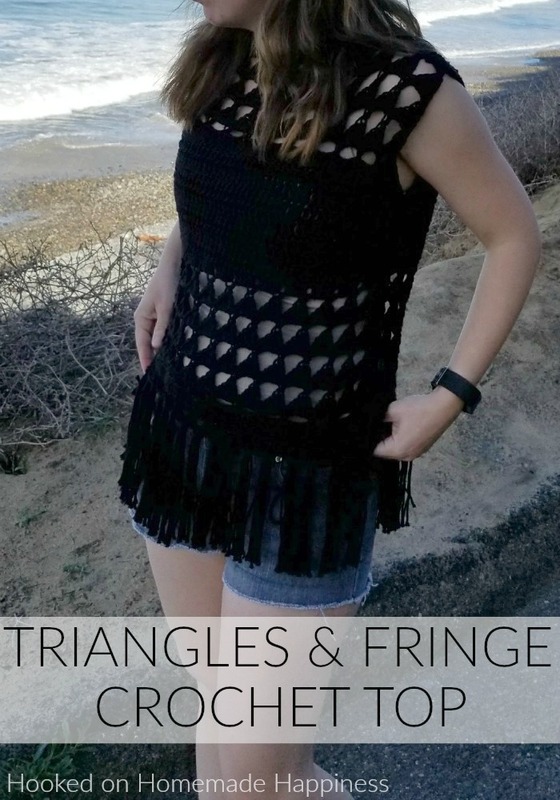 I might have a slight obsession with fringe! 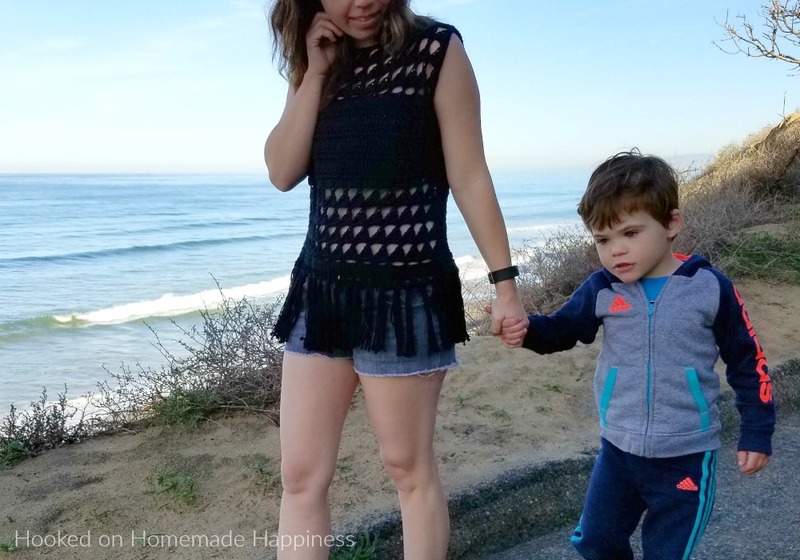 I love adding it to my spring and summer tops! 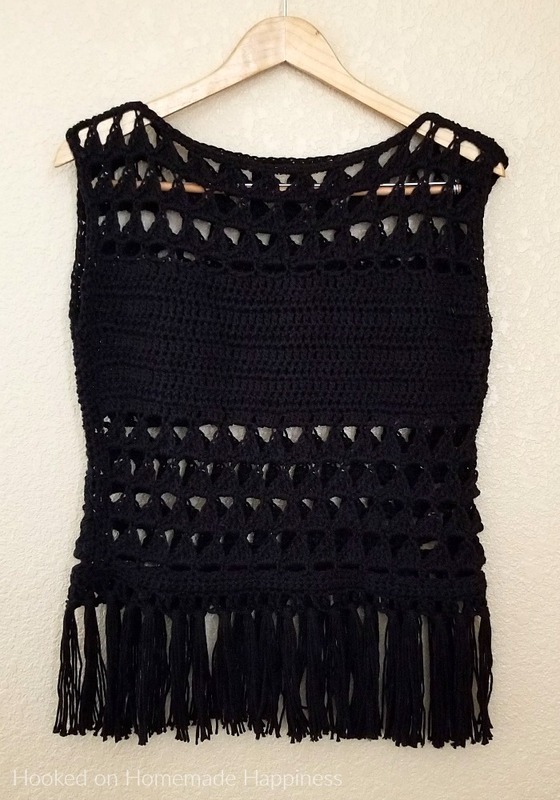 It’s totally optional, this top would still be super cute without the fringe. I used I Love this Cotton! from Hobby Lobby. It’s a nice and soft cotton yarn, especially for the price. Cotton is ideal for summer projects because it is a much lighter fiber and it’s easy to keep clean. 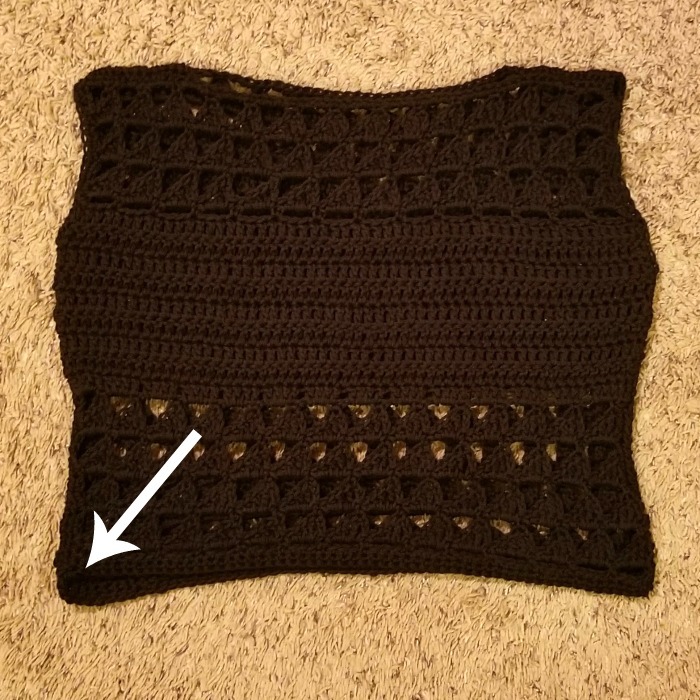 Lay both rectangles together, use a stitch marker to mark where you want to sew the shoulders. I sewed about 13 stitches in on both shoulders. Then mark where you want to sew the sides closed. I marked about row 17. And you’re finished with your new top! Thank you! For this pattern you need a starting ch of a multiple of 4 + 2 more. I hope this helps! This is lovely. Can’t wait to make one! Thanks for a fab pattern. Making this today and I’m super excited about it!! Thanks for the awesome pattern! Can I get your crochet project videos in YouTube​. 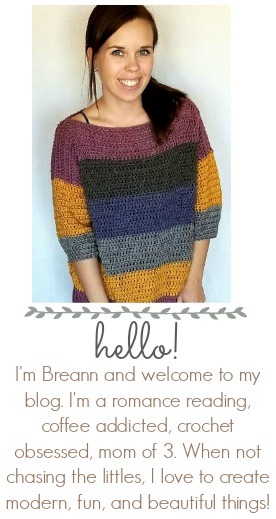 Breann…I love this top!! I am going to make one for my daughter and niece. 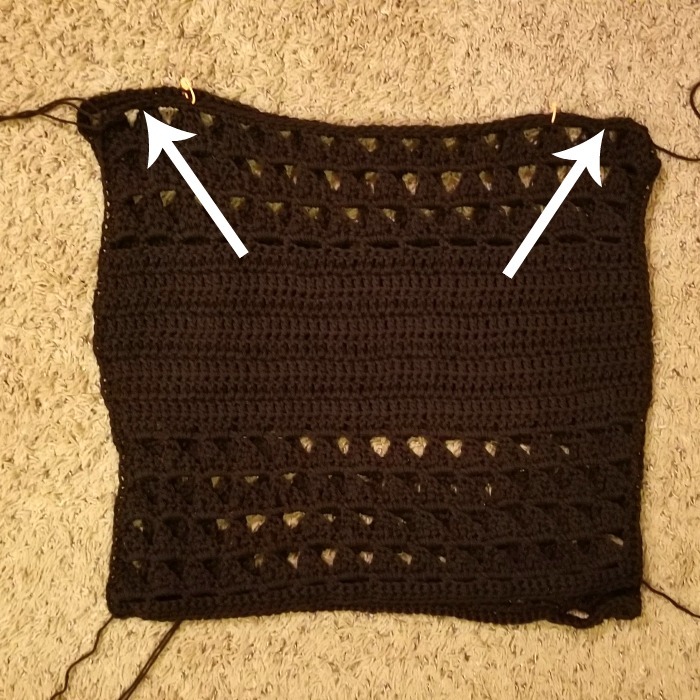 Started “practicing” the triangle stitch yesterday and the sides of the rectangle are not straight! One side leans to the right and the other to the left. I think I am following the pattern exactly. i took pics but not sure how to insert them into this comment. I love this top! I have a question about row three. 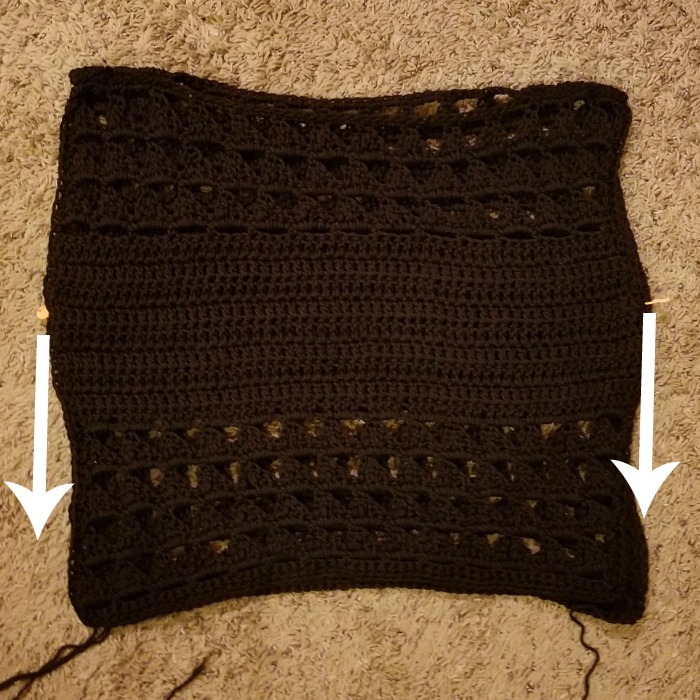 After completing the 17 triangles, do l double crochet in chain 3 at the end. I may be misinterpreting the 3rd row incorrectly, but it doesn’t say what to do after you complete the 17 triangles for size extra large. Thank you. Hi! The last stitch should be the sc from the triangle. There isn’t an additional stitch after that. Hope this helps!